So I may be the last person in the world to try this awesome crockpot recipe, but since I barely got my first crockpot at Christmas, I hope you’ll give me a little slack for getting so excited about it. I found this recipe at Baking and Creating with Avril and I’m still in awe that you can cook something cheesy for hours and hours and not have it burn and get crunchy. Once again, my family totally loved this little treasure and I loved how completely easy it made the dinner rush! Thanks Avril! 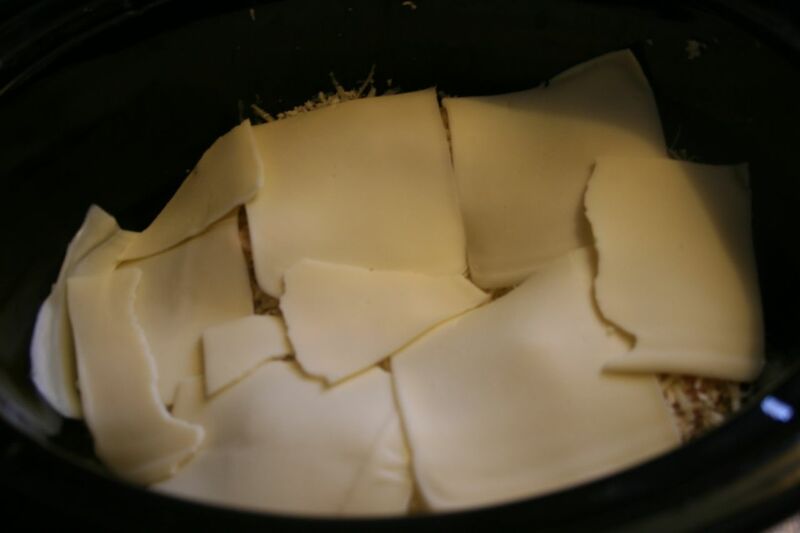 Directions: Drizzle 1 tablespoon olive oil over the bottom of the crockpot stoneware. In a medium bowl, beat egg. 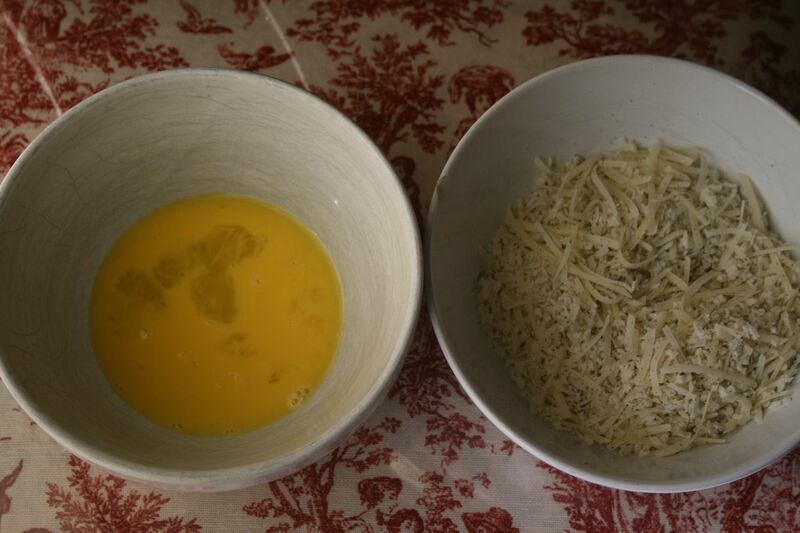 In second medium bowl, mix the bread crumbs, spices, and grated Parmesan cheese all together. 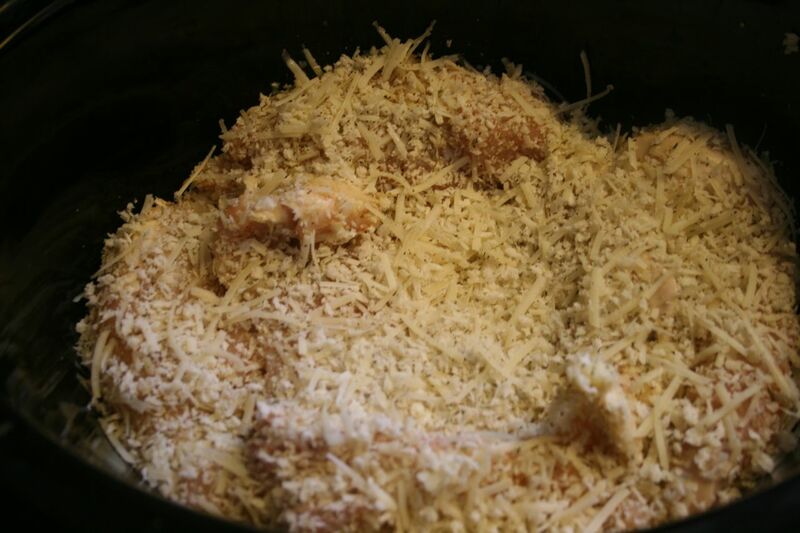 Dip chicken in beaten egg and then toss into bread crumb mixture to coat completely on both sides. Place chicken breasts on bottom of crockpot. 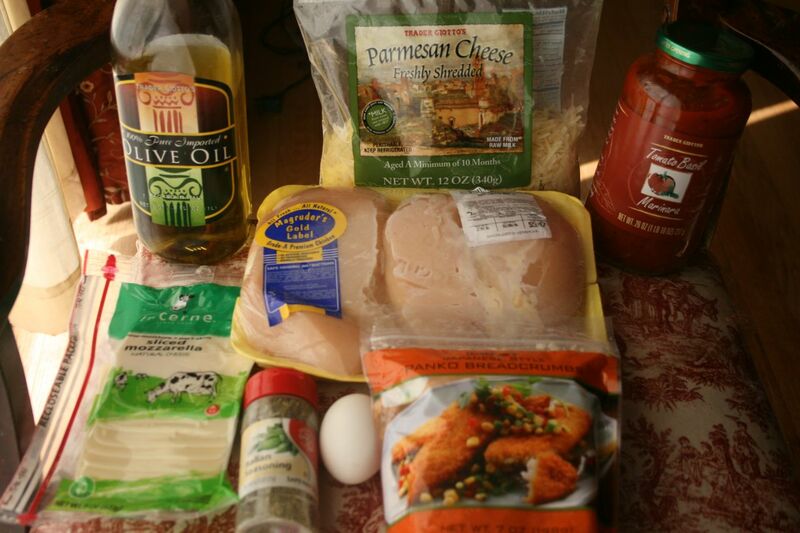 Place a layer of mozzarella slices on top of breaded chicken breasts. 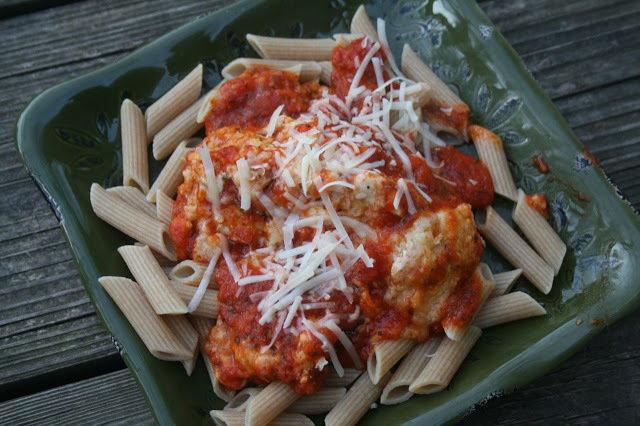 Cover cheese layered chicken with entire jar of sauce. 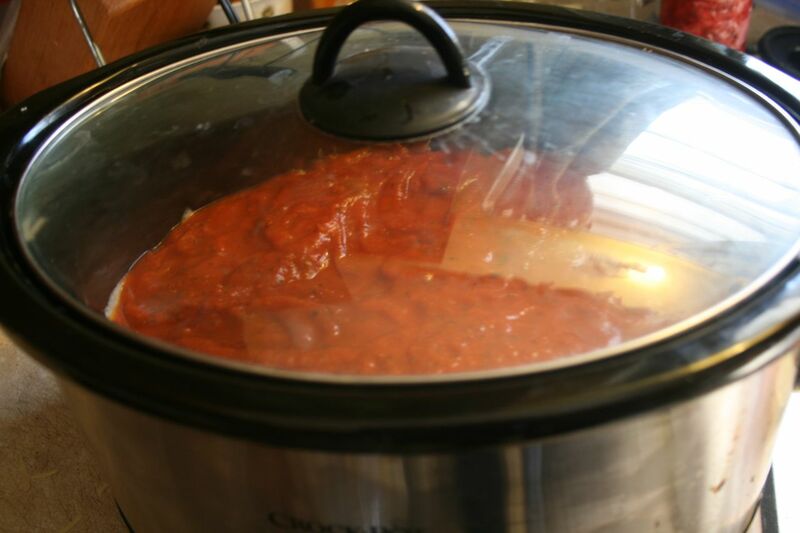 Place lid of crockpot securely on and turn heat to LOW for 6-7 hours or HIGH for 3-4 hours. Serve over cooked pasta of your choice. Don't miss a single recipe at Recipe Shoebox. Sign up on the right for free email updates. I took our crock pot to Unique a couple of months ago and keep meaning to buy a new one. This is just the motivation I needed! Wow, where have I been? I never made Chicken Parm in the crockpot and we're chicken parm freaks. Thanks for the heads up. Love this! mercy mercy me, i have got to try this! Thank you for your recipe! 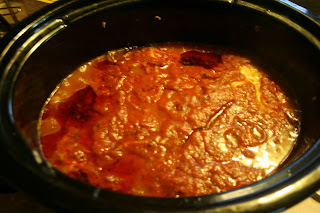 It's in my slow cooker right now for tonight's dinner, and my house smells GOOD! :) It's my 1st time preparing chicken parmesan in the crock pot. Made this tonight for dinner. It was delicious!! Once again you have saved me come dinner time!!! What brand of sauce do you usually use? I'd love to make this! 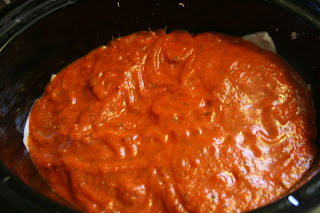 My favorite brand of jarred spaghetti sauce is Ragu Chunky Gardenstyle Roasted Red Pepper, but when I made this for the blog I used the Trader Joe Marinara sauce. I think whatever your family would normally like on their spaghetti would be perfect! hi there, first time here. and i am not a very experienced cook, so this might be a silly question. but what is the serving size? This is totally a guess, but my guess is that the little kids end up with about 1/3 chicken breast each plus 1/2 cup noodles + sauce. 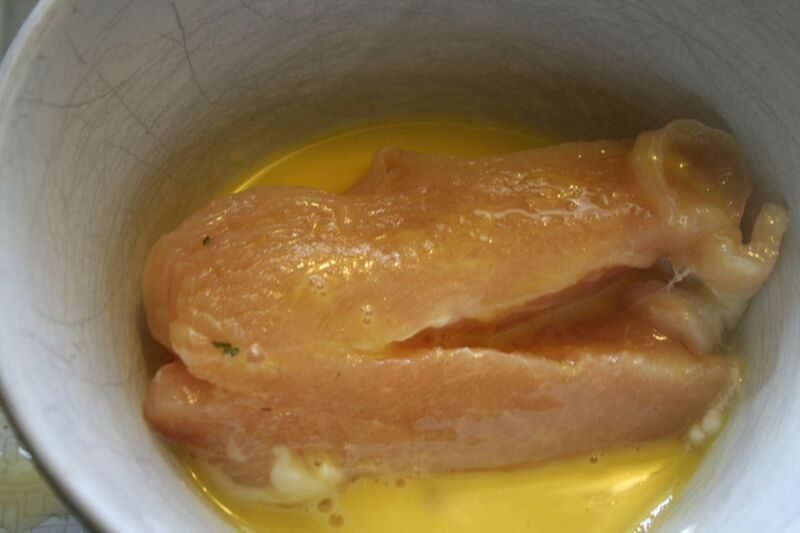 For the teens and adults it's closer to 3/4 chicken breast each + 1 cup pasta and sauce. Hope this helps. This is my husband's favorite dish. I N-E-V-E-R make it because it visually makes me gag. A thick layer of cheese on top swimming in red sauce is just not my idea of dinner. This looks more appealing and I will give it a try! Made this for Christmas Eve dinner (for those who weren't fans of veal) and it was a huge hit! Thanks so much for posting the recipe! What a great recipe - unfortunately part if mine was burnt. Any idea why that might have happened? All the other parts were delicious! So glad you posted this months ago. We love it! 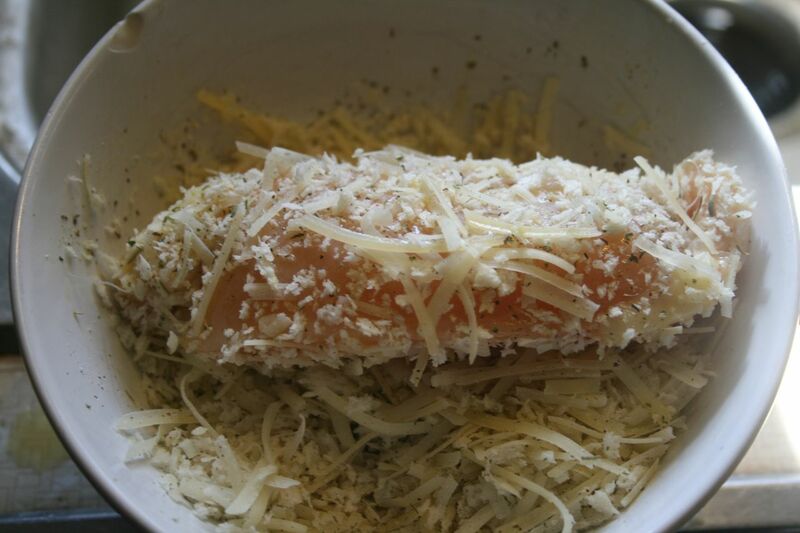 I made it today for a crowd, and I just stacked the chicken in the crockpot with cheese and sauce between each layer. I had three layers of chicken and it turned out great! Such an easy way to feed a group. Just thought I'd let you know you can pack your slow cooker full with this recipe! So you've chosen that fast food healthy dinner recipes isn't the approach. Shouldn't something be said about a semi-formal eatery? The nourishment looks mouth-watering great! At just $12 a feast, you can have enough to fulfill you for quite a long time. They serve steak, potatoes, pastas... what's more, the sweets are amazing! When you take a gander at their awesome supper menu you might need to consider what all the sugar, cholesterol and fat will do to your body.